WASHINGTON — A group of 11 House Republicans has introduced articles of impeachment against Deputy Attorney General Rod Rosenstein, who oversees special counsel Robert Mueller’s investigation into Russian election interference and President Donald Trump’s 2016 campaign. 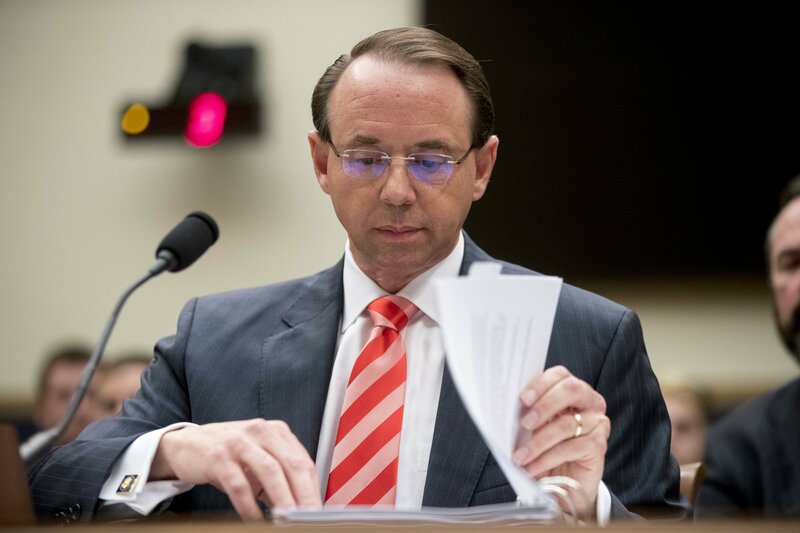 The Republicans who introduced the resolution have criticized Rosenstein for not being responsive enough as they have requested documents related to the Russia investigation and a closed investigation into Democrat Hillary Clinton’s emails. It is unclear whether there will be enough support in the party to pass it, as Republican leaders have not signed on to the effort. The articles were introduced by North Carolina Rep. Mark Meadows and Ohio Rep. Jim Jordan, frequent critics of the Justice Department. The introduction does not trigger an immediate vote, but Meadows and Jordan could make procedural moves on the House floor that could force a vote late this week or when the House returns from its upcoming five-week recess in September. The House is scheduled to leave for that recess Thursday. The move came about two hours after GOP lawmakers met with Justice Department officials who have been working to provide documents to several congressional committees about decisions made during the 2016 presidential campaign. The department has provided lawmakers with more than 800,000 documents, but Meadows said after the meeting that there was still “frustration” with how Justice has handled the oversight requests. Republican leaders, however, have said in recent weeks that they are satisfied with the Justice Department’s progress. House Oversight and Government Reform Chairman Trey Gowdy said after the meeting that he was pleased with the department’s efforts and wouldn’t support Rosenstein’s impeachment. House Speaker Paul Ryan has also said he is satisfied with progress on the document production. Democrats have criticized Republican efforts to pressure the Justice Department in recent months, saying they are attempts to undermine Mueller’s investigation.